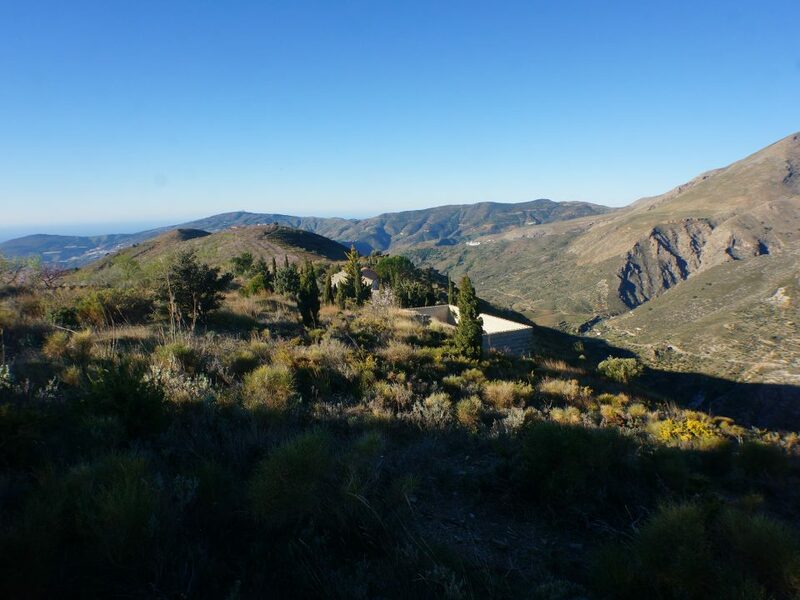 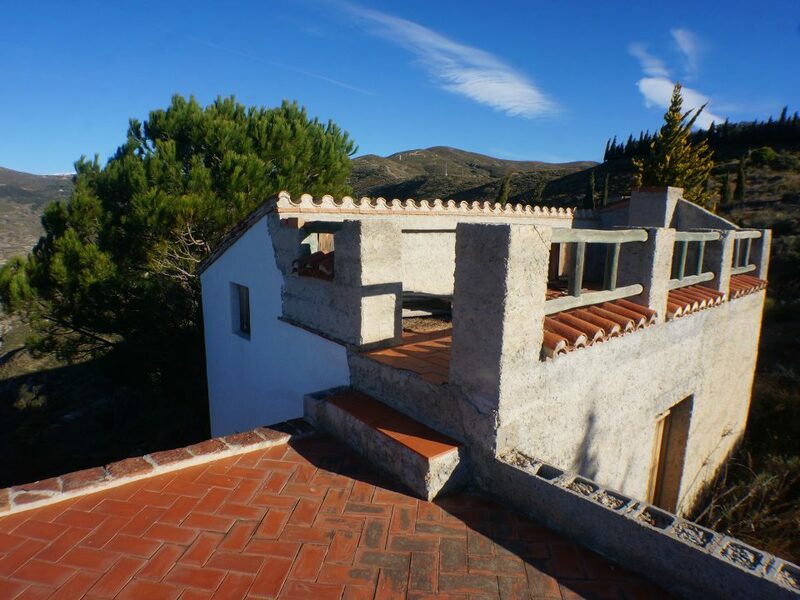 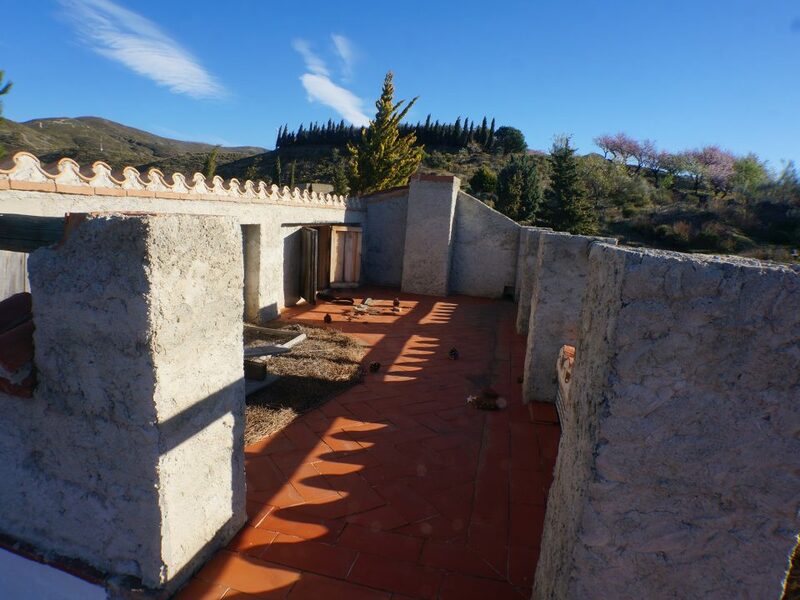 canar townhouse cortijo countryhouse property properties for sale in the alpujarras - HomesEspana Orgiva Property Real Estate Agent Inmobiliaria Since 2003 UA-39695354-1 HomesEspana Orgiva Real Estate Agent Inmobiliaria In Orgiva and lanjaron for Properties In The Alpujarras-Granada-Andalucia-Spain. 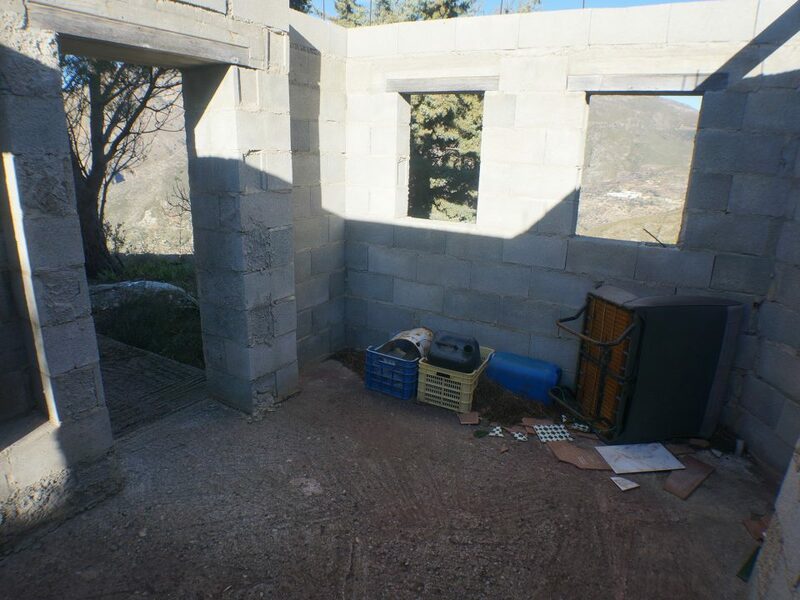 A modern, unfinished two level two bedroom house, with roof terraces, set back a little from the road between Rubite and the coast, on a large plot of land, with spectacular views. 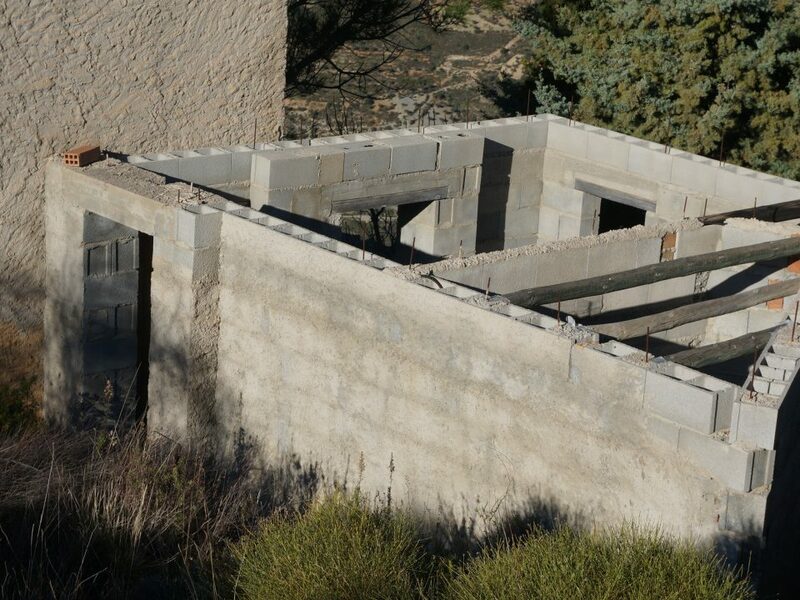 Constructed to a very high standard in 2002, with a licence for an agricultural building, there are 57 m2 built. 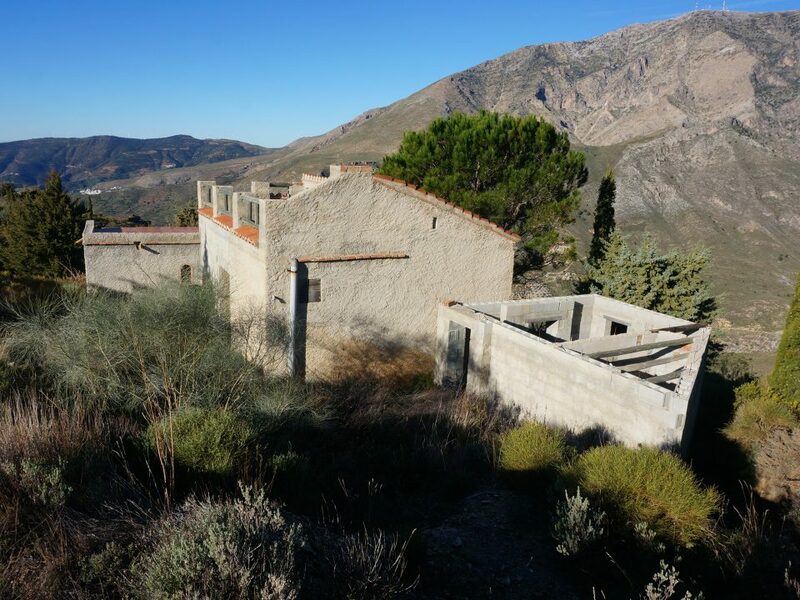 The building is now registered with the land registry as a vivienda (dwelling), which is a first step in getting it registered for permanent residence, and currently it could certainly be used as a holiday home, for which it is ideal, considering its location (20 minutes from the coast , 1 h 40 to Granada city, 1h 40 to Malaga airport). 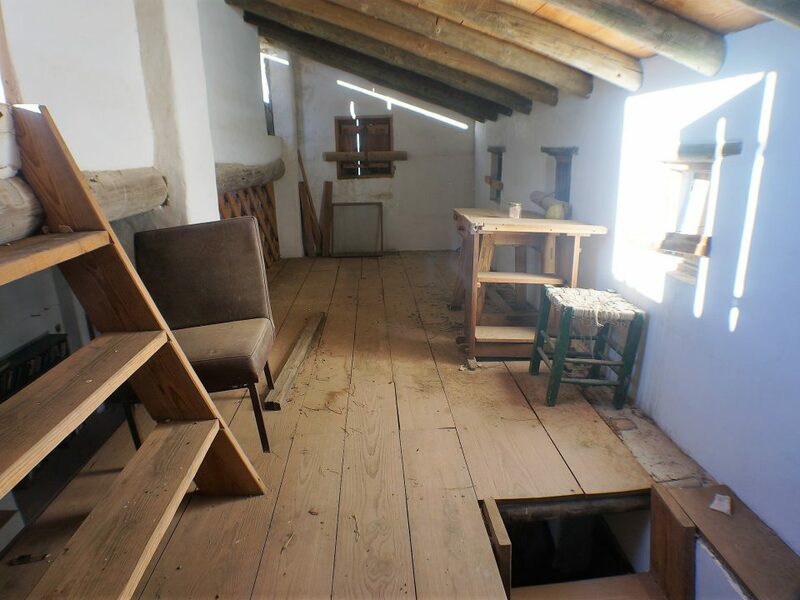 The ground floor has a large living room with an attached (bed) room, Stairs lead to a mezzanine which could serve as a second bedroom. 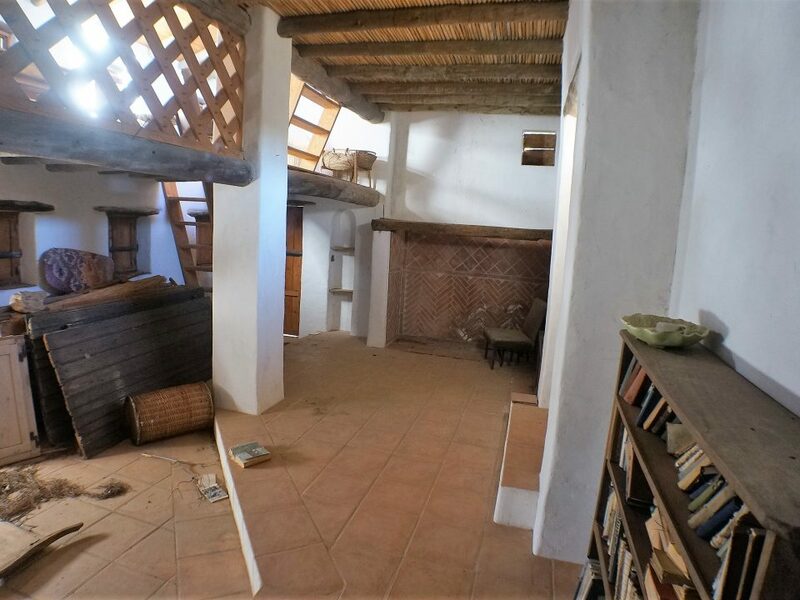 Steps from the mezzanine lead up to roof terrace, south facing and running the length of the house, and a smaller second terrace ( the roof of the ground floor (bed)room). 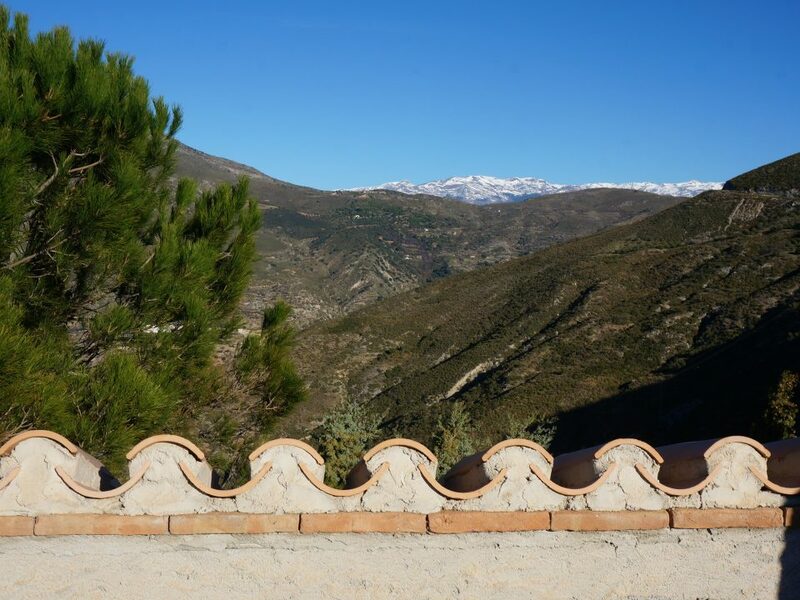 From the terraces there are spectacular views, south to the Mediterranean, and north to the Sierra Lujar and the Sierra Nevada. 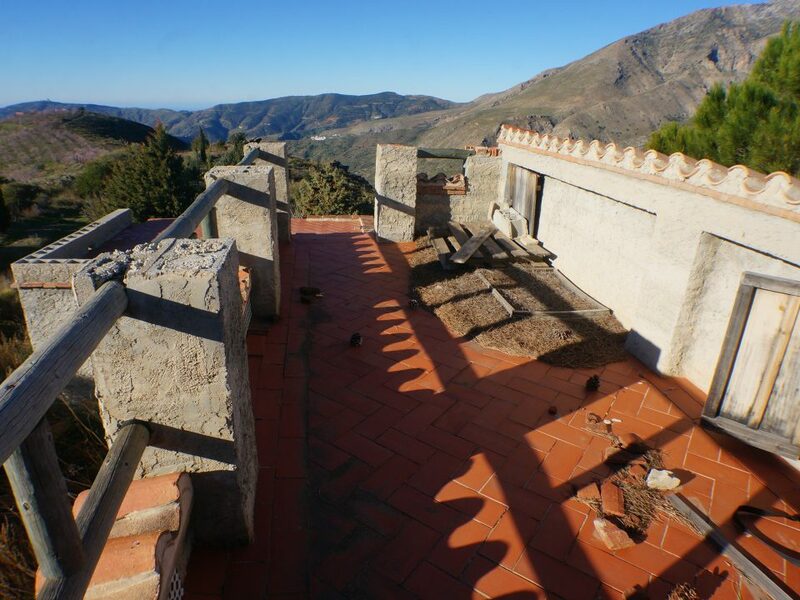 Adjacent to the house is a 14 m2 unfinished bathroom and kitchen. 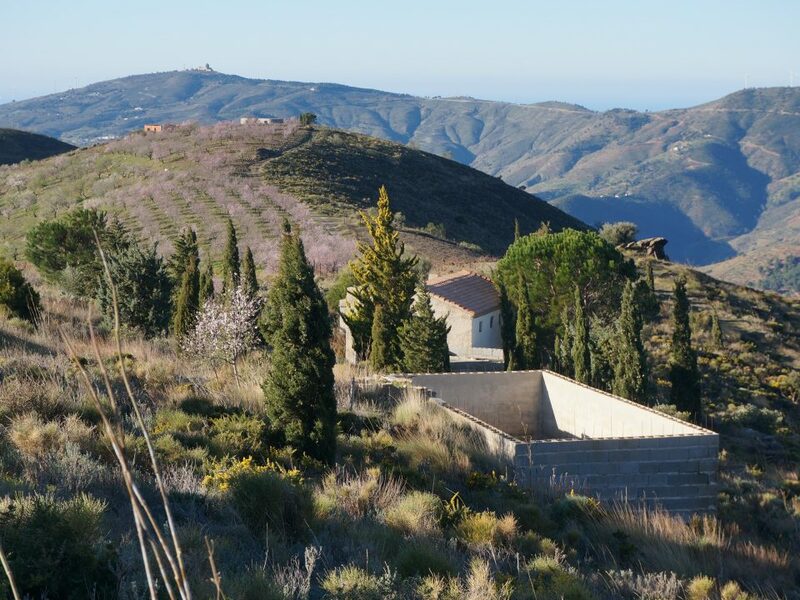 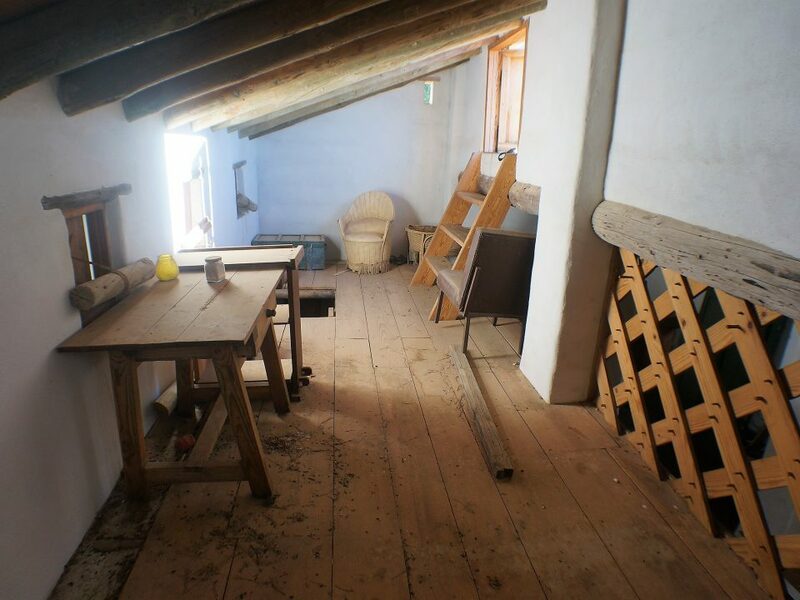 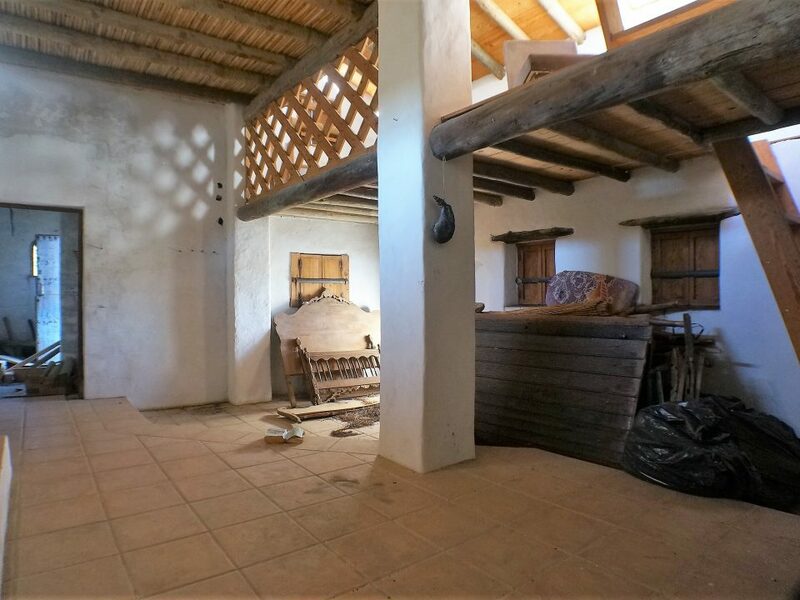 The land is a little over 13,000 m2 of unirrigated hillside land, and on it, opposite the house, is an era (threshing floor) which has been converted into a patio. 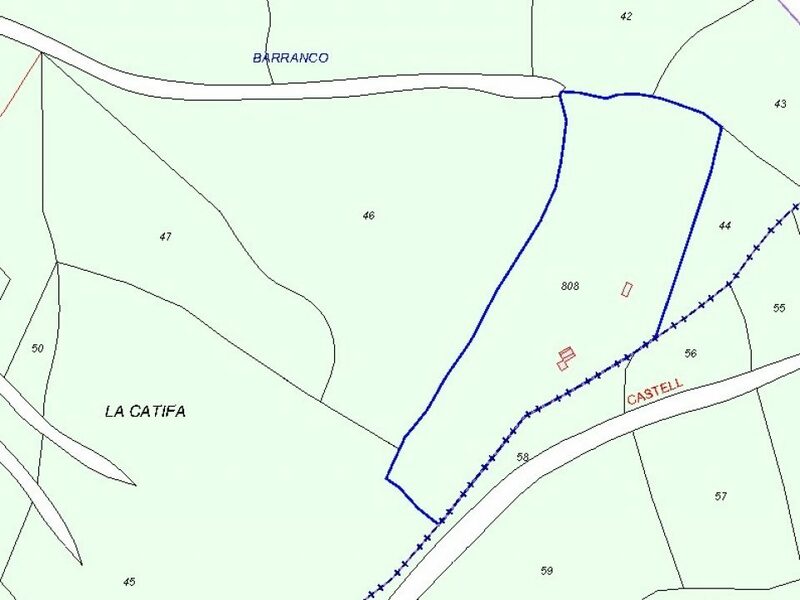 A short distance from the house is a large (8m by 4m by 2m) cement water deposit, designed to catch and store rain water, or water delivered by tanker. 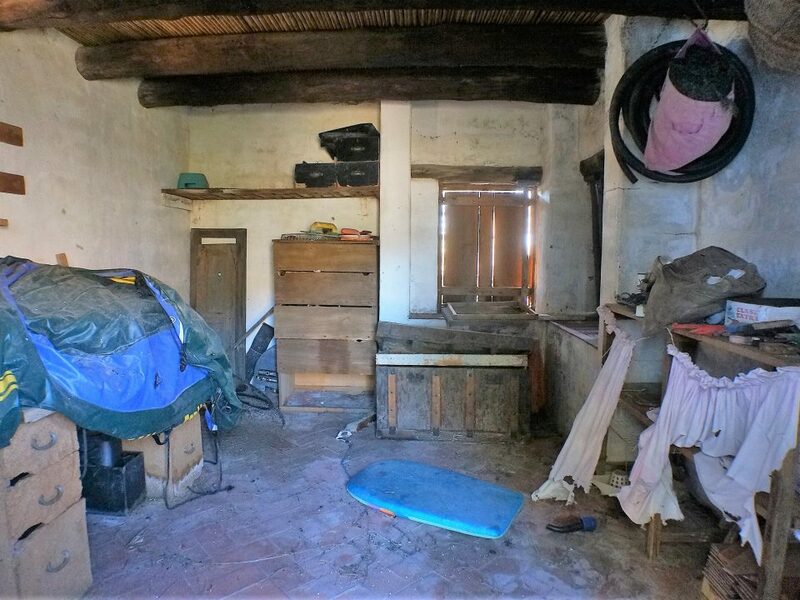 The house is too far from a town to have town water or electricity connected. 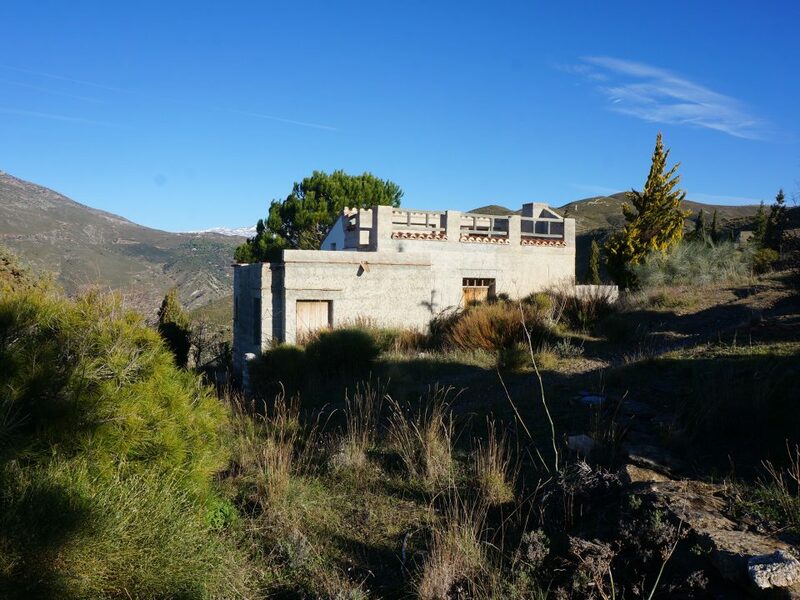 For someone interested in a project for a holiday home and off grid living, this property is exceptional value for money.